Want to Watch Movies Online Legally? If Yes, then Netflix is one of the Best Site to Watch Movies & TV Series. But, to Watch your favorite movies and TV shows, you have to pay for Netflix. So, if you are Searching For Free Netflix Alternative to Watch Free Movies & TV Shows, then you are at Right Place, cause in this Article, I’m going to Share 8 Free Netflix Alternative To Watch Movies & TV Shows For Free. …So, you have to Pay for Netflix Subscription to watch Movies & TV Shows. But, wait, there are also many Site Similar To Netflix which are Free to use. You can use these Free Netflix Alternative to watch your favorite Movies, TV Shows, Documentaries and much more. Netflix also has their App where you can watch your favorite series. 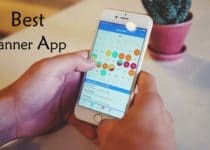 There are many Apps Similar to Netflix or say Apps like Netflix but free of cost. Apart from Websites Like Netflix, there are also many Apps like Netflix on Play Store & Play Store Alternative. I’ve also shared the link for the Apps for Android as well as iOS. 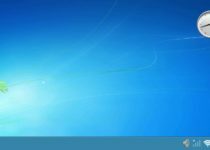 If you don’t have a Smartphone, you can also use Android Emulators or iOS Emulators to run these Apps on PC. There are many Services similar to Netflix and here I’m going to Share 8 Best Free Netflix Alternative Services To Watch Your Favorite Movies & TV Series For Free Without Netflix Subscription. 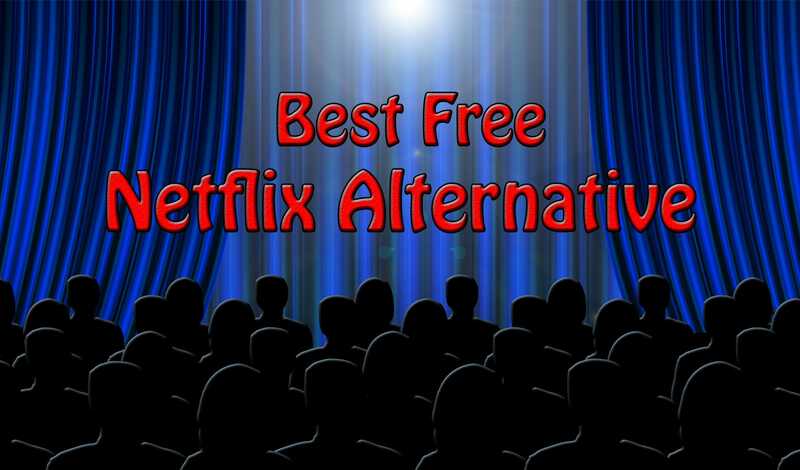 So, let’s proceed further and check out 8 Best Free Netflix Alternative 2018. Tubi TV is another Popular & Best Free Netflix Alternative where you can watch thousands of TV Shows & Movies without Subscription. It has over 7000 Titles including from some well-known studios like Lionsgate, Paramount, MGM and more. The best part about this is that is available for various platforms like Android, iOS, Roku, Apple TV, Xbox, PlayStation and many more. There are sort of genres available like Comedy, Drama, Horror, Thriller, Romance, Action, Family Movies, Documentaries, Sci-Fi and much more. Crackle is one of the Best Free Alternative To Netflix which is owned by Sony Pictures Entertainment. It is available for both Android as well as iOS. So you can say it is one of the Best Android & iOS Netflix Alternative. As it is owned by Sony Pictures Entertainment, you will mainly see Movies & TV Shows produced by Sony. This makes Crackle limited when it’s compared to Netflix but considering Netflix requires a monthly subscription, Crackle can be placed ahead Netflix. Here, you have many categories of Drama, Sci-Fi, Thriller, Crime, Comedy, Anime, Action, TV Series, Game Show, Crackle Original and much more. Viewster is another Netflix Streaming Alternative Site which has collections of tons of Movies and TV Shows where you can enjoy your favorite Shows for Free. They also have their App for Android as well as iOS. The best part about this is, it doesn’t require any registration to watch TV Shows and Movies. Even this also has many categories like Drama, Romance, Sci-Fi, Anime, Documentaries, Music & Musicals, Horror, Sports and much more. Popcornflix is a Free Version of Netflix where you can watch your favorite Movies and TV Shows for free of cost without any issue. On the Home screen, you can find different categories like Popular Movies, Action, Comedy, Drama, Horror, Sci-Fi, Romance, Thriller, Mystery and much more. It has tons of Movies & TV Shows and you can watch your favorite one by searching from top right corner using the search box. They also have their App for iOS & Android Platform. SnagFilms is one of the Best Alternative To Netflix Free. It is available for both Android as well as iOS and is one of the Best Android Netflix Alternative. The best part I like about SnagFilms is that it gets updated every single day so you have the fresh selection of Movies & TV Shows. You can sort by Rating, Name & Rating IMDB. It has many Category where you can Watch Anime, Biography, Action, Comedy, Crime, Documentary, Drama and much more. Don’t go with the name CartoondHD as it offers much more than just cartoons. The library is filled with thousands of Movies & TV Shows. If you are looking for Netflix Alternative, then this is the Best Options to Netflix. They also have their App for Android as well as iOS Platform which is really great for us. From the top right corner, you can select filter and sort it by IMDB, Popular & Name. It has many categories like Drama, Documentaries, Action, Animation, Comedy, Sports and much more. Playbox HD is another Best & Popular TV Service like Netflix where you can watch thousands of TV Shows and Movies for free of cost. It is updated daily with new Movies & TV Series. The best part of this site is that it also supports Download Movies to play without networking. They also have their App for Android as well as iOS which supports Kids Mode for your children. You can watch your favorite Movies & TV Shows with Subtitle. Gomovies is another Best Alternative to Netflix. It allows you to stream your favorite shows and movies in full HD for free including new releases. The Website has a good User Interface and you’ll find almost every movie and TV shows. It is also the Best Sites for Watching Movies Online. On the Homepage, you can find Categories like Top Movies, Most Rating, etc. Also, it has a Search Box on the Homepage to find what you are looking for. These were the 8 Free Netflix Alternative | Sites Like Netflix. Apart from these, there are also many other Alternative for Netflix but I’ve shared the Best & Free one for you. You can watch your favorite Movies & TV Shows for Free on these Websites or you can use their Apps for Android & iOS to watch on your Smartphone. Hope you liked this Article On Free Netflix Alternative. Do Comment below if you have any query. Stay tuned with us for more latest Tricks & Updates. Though Netflix is quite popular for their Netflix originals series. But the way you have searched these alternatives of Netflix is awesome ! Thanks for providing these sites !! Before I was dependent on Netflix only but after reading your post I got to know about the Netflix alternatives. Thanks for sharing this awesome list of netflix alternatives. I am fan of netflix but i also want to try other apps. awesome list of netflix alternatives,good writeup.